New details have surfaced about what a possible US-backed peace plan between Israelis and Palestinians. The plan provides more territory for Palestinians in the West Bank and sets aside East Jerusalem as the capital of this new Palestinian state while keeping the Al Aqsa mosque under Israeli control. Most settlements would end up officially as part of Israel, which would dismantle settlements it considers illegal. The leaked notes from negotiations, first reported by Israeli Channel 13 News, do not mention plans for the Gaza Strip, nor do they discuss the fate of Palestinian refugees living outside of the West Bank. American officials said that the information was “not accurate.” The proposed peace plan could be made public before Israeli elections are held in April, according to Reuters. 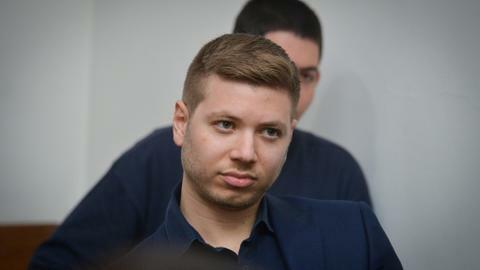 The Israeli journalist who received the leaked notes also said an unnamed US negotiator expressed pessimism about the potential for the plan to be accepted by Palestinians. “According to the notes, the U.S. official stressed in the briefing that the White House peace team thinks the Palestinians will reject the plan out of hand but wants Israel not to reject it and show willingness to engage,” diplomatic correspondent Barak Ravid tweeted. The new report comes at a time of uncertainty for leaders of both the United States and Israel, and an increased level of marginalisation for Palestinian Authority President Mahmoud Abbas. 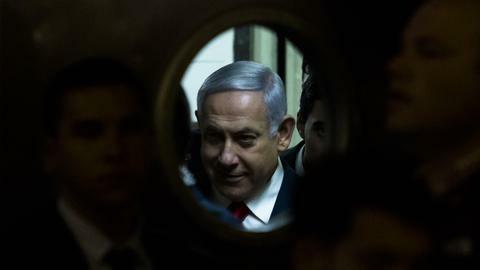 Israeli Prime Minister Benjamin Netanyahu is facing serious corruption charges and dissent from politicians farther to his right, one of whom last year said Israel was ready to re-occupy the Gaza Strip. It’s not clear if these leaders will endorse a peace plan that sacrifices Israeli control of the West Bank, under military occupation by Israel since 1967. US President Donald Trump has been named by federal investigators as an unindicted co-conspirator in a plot to pay off women to keep his affairs with them secret during his 2016 presidential bid. This comes as Special Counsel Robert Mueller’s probe continues to investigate potential collusion between the Trump campaign and the Russian government to influence that election for Trump’s benefit. The White House and Congress are also grappling over a prolonged government shutdown over Trump’s border wall that has dominated their time and attention. It’s also not clear what role Saudi Arabia would play in the potential peace plan. Trump’s son-in-law Jared Kushner has been tasked with the momentous job of brokering an Israeli-Palestinian peace plan and forged a WhatsApp friendship with Saudi Crown Prince Mohammed bin Salman, also known as MBS, who has emerged as a de-facto ally of Netanyahu against Iran and Qatar. Both Kushner and MBS seem to take a dismissive view of Palestinian participation in the process. "It is about time the Palestinians take the proposals and agree to come to the negotiations table or shut up and stop complaining,” MBS reportedly said in March 2018 at a meeting with Jewish groups in New York. He also made clear that confronting Iran was a far higher priority than finding peace for Israelis and Palestinians. Since March 2018, MBS has also become politically toxic in the wake of the murder of dissident Saudi journalist Jamal Khashoggi at the Saudi consulate in Istanbul by a Saudi assassination squad. It’s not clear whether MBS is the kind of man anyone in Washington wants to take a grip-and-grin photo with ever again. Kushner, for his part, has no diplomatic experience, coming like his father-in-law from the world of New York real estate ventures. 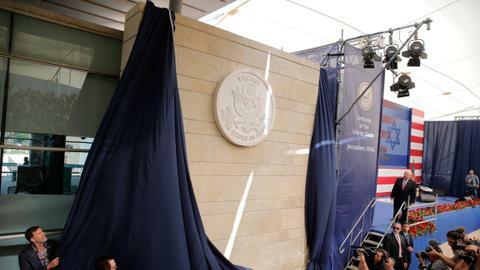 Kushner was also key to moving the US Embassy from Tel Aviv to Jerusalem and recognising the contested ancient city as Israel’s capital in 2017. 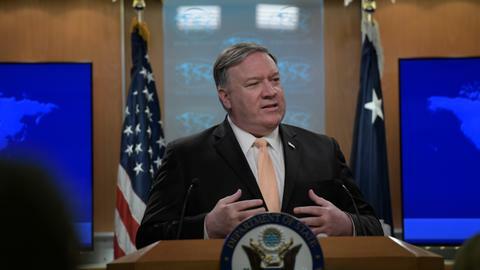 Despite military support for Israel, US diplomatic policy had for decades refused to take these steps for fear of alienating Palestinians in the long-running peace process. Saeb Erekat, a Palestinian diplomat, described a heated exchange between himself and Kushner over the embassy move, Newsweek reported. "I told him, 'Look: if you do this, you will have disqualified yourself from any role in the peace process. He replied, 'Don’t threaten me,’” Erekat recounted at the Doha Forum in Qatar in December last year. The leaked peace proposal also superficially resembles previous peace plans that have failed to materialise into Palestinian sovereignty. The Oslo Accords in the 1990s, negotiated with the help of the United States, created enclaves for Palestinian control but did not stop Israel from building roads, walls and new settlements in the West Bank after the Second Intifada. There does not appear to be any guarantee that Israel would not do the same thing if Palestinians agreed to this new proposal that makes East Jerusalem their capital. Dysfunction and uncertainty in Israel, the United States and Saudi Arabia also endanger the success of the proposal, which as described in reports leaves out consideration of crucial details. A functioning Palestinian state would require its airport, as it has no access to the Mediterranean Sea unless Israel removes its naval blockade of Gaza. There also remains the question of control over water rights. Palestinians live on top of Israel’s primary source of freshwater, locked in the aquifers beneath its rolling hills. Gaza itself has seen its source of freshwater polluted by salt water from the sea. These are just a few of the questions any peace deal would have to answer, but the biggest hurdle for all sides involved is winning the trust of the Palestinians, who have spent their entire lives between peace plans, Intifadas and Israeli assaults. 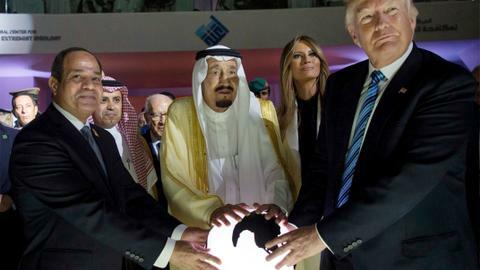 Will they take a chance on the trusting the word of MBS, Netanyahu, Trump and their leadership?